Council Tax referendums: power to the people? Since the 2012-13 financial year, council tax increases beyond the government’s limit can trigger local referendums. But are they having an impact on policy? The council tax pays for about a quarter of all local services. However, cuts in funding from central government have put pressure on local authorities trying to maintain and improve services. As a result, in recent years many councils have been forced to impose council tax rises. This in turn has generated opposition from local residents and charges from central government that the increases are excessive. Previously, if ministers believed that local authorities were increasing taxes excessively they had the power to cap council tax rises. However, in 2010, the Conservative general election manifesto promised to give residents the power to veto excessive council tax increases. The measure was included in the coalition government’s programme for government and introduced in the Localism Act of 2011. The Localism Act, which applies only in England, gives local communities the power to decide on council tax increases above a certain limit. The Secretary of State for Communities and Local Government determines this limit, which has to be approved by the House of Commons. If a local authority proposes to raise taxes above the limit they must obtain approval from local voters in a referendum. Districts and PCCs whose council tax level is in the lowest quartile of their type of authority may raise council tax by up to £5.00 on a Band D bill (which may be a greater rise than 2%). This means, for example, that a local authority with social care responsibilities wishing to raise its council tax above 4% would have to organise a referendum on the proposed increase. In addition, the authority would have to make substitute calculations that would take effect if the proposed increase is rejected in the referendum. In March 2016, a survey by the Chartered Institute of Public Finance & Accountancy (CIPFA) found that many councils are set to increase council tax close to the 3.99% maximum allowed under the referendum cap. Few councils have so far set council taxes at a level that would trigger a referendum. In 2015, the Green Party on Brighton and Hove Council failed to secure backing from the other parties for a 5.99% council tax rise. A settlement of 1.99% was eventually agreed, but the Greens said a bigger rise would have helped protect services for the elderly, adults in care, children and those living below the poverty line. In May 2015, residents in Bedfordshire became the first in the country to vote in a referendum triggered by a decision to raise the council tax. The county’s Police and Crime Commissioner, Olly Martins, increased the amount of the council tax for Bedfordshire Police by 15.84% compared to the previous year. He claimed that the increase would provide funds for more police officers. However, the rise was rejected by almost 70% of voters, and the council had to issue new bills based on the lower increase of 1.99%. Mr Martins said the result would mean a reduction of up to 135 uniformed officers from the existing 1,067. He also raised concerns about the rules on the wording on referendum ballot papers and awareness-raising during the campaign. But Richard Fuller, the Conservative MP for Bedford claimed that the £350,000 spent on holding the referendum, and the £250,000 for re-billing meant that Mr Martins had shown “incredibly poor judgement”. With only one council tax referendum to consider, it’s still too early to assess the impact such polls may have on policy. However, the costs and time-consuming nature of organising referendums of this kind may be acting as a deterrence to raising council tax bills above the referendum cap. The government remains committed to the policy of council tax referendums, and has suggested that it could be extended to parish councils. In March 2014, the Labour Party confirmed that there were no plans to abolish the referendum principles. However, there is no guarantee that this will be the party’s policy going into the next general election. For the foreseeable future, council tax referendums are here to stay. Follow us on Twitter to keep up-to-date with developments in public and social policy currently interesting our research team. On Wednesday 21st October, the Cities and Local Government Devolution Bill reached the Committee Stage for consideration by the House of Commons. The Bill, which was initially introduced in the House of Lords, provides statutory authority for the devolution of powers to local areas. The Local Government Association (LGA) has described it as an ‘enabling Bill’ – as very few of the policy areas covered in devolution agreements are mentioned. Yet its technical nature has not deterred debate. Whitehall, local government, and a host of other interested parties have all sought to shape the Bill, and the devolution agenda. So, what are the main elements of the Bill? Powers should exist to transfer public functions to certain local authorities, and to fast track changes to their government structures. Which devolution deals have already been agreed? The Government has received 38 bids, including four from Scotland and Wales. The first devolution deal was the Greater Manchester Agreement on the 3rd November 2014. Since then, a number of other deals have been agreed, including the Sheffield City Region Agreement on Devolution (12th December 2014), the Cornwall Devolution Deal (16 July 2015), and Tees Valley Devolution Agreement (23 October 2015). However, a number of agreements are still under discussion. For instance, the Liverpool City Region bid is seeking power over a large range of areas, including the creation of a Land Commission and a development corporation, EU structural funds, and retention of business rates. They are also considering introducing an elected mayor. However, in the same speech, the Chancellor also suggested that he would “not impose this model on anyone”. Some, though, would argue that the Chancellor’s approach is closer to the first statement. For instance, a group of North East MPs have challenged Ministers to “just be honest” and admit that they forced the North East Combined Authority to accept an elected mayor. Interestingly, Durham County Council, a member of the North East Combined Authority, is set to allow residents to vote on the new deal. Yet, even if the public voted against the deal, the Cities and Local Government Devolution Bill provides that the Communities Secretary has the power to eject a combined authority member, and continue with the deal. Similarly, it’s been reported that the Department for Communities and Local Government (DCLG) has explicitly told Suffolk and Norfolk that they would need a directly-elected mayor if they want major powers to be devolved. The LGA has recently suggested that the government should look to identify alternatives to directly-elected mayors. During the debates, concerns have been raised over whether devolving health services would mean that health services would no longer be subject to national standards. In the House of Lords, Baroness Williams attempted to clear this up, explaining that services would still be part of the NHS and the social care system and national standards would apply. He suggested that this issue would need to be worked on. Will the Bill bring devolution to English regions? The great advantage of the Bill is that it provides flexibility for local areas to negotiate their own devolution deal. But, as we have seen from already signed agreements, combined authorities may have to agree to terms that are at odds with the local electorate. For example, in 2012 the electorate of Manchester voted against directly-elected mayors. Yet, a couple years later, they became the first combined authority to sign an agreement with the Chancellor. Some, however, will say that genuine devolution will only be achieved through devolved finances. This has already started to happen with the Chancellor announcing that local authorities will be able to retain business rates. Overall, though, the devolution journey has just begun. Each local council will make their own arrangements, and will be answerable to their own electorate. Ultimately, it will be for them to decide through the ballot box whether genuine devolution has been delivered. The Bill will return for further consideration in the House of Commons on 17 November 2015. Devolved governance – what role for planning? Is our electoral system going through the biggest change in a generation? The biggest change in a generation? Quite simply: yes. Last year, we saw an unprecedented focus on the democratic process, with high profile votes such as the Scottish independence referendum, as well as revolution in the way in which citizens vote through the introduction of the Individual Electoral Registration (IER). 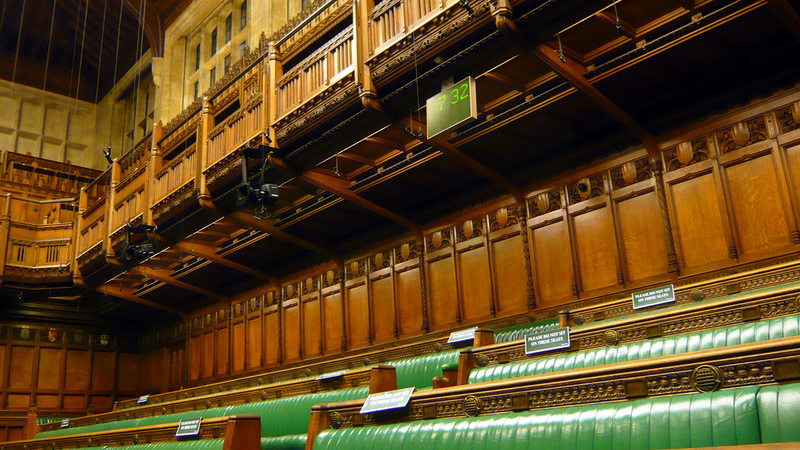 It’s likely that this degree of interest in the political system will continue as we move towards the general election in May, with a number of related topics being up for debate. I’ve therefore decided to highlight some of the most notable election and referendum-related issues, as well as look at which might come up in the general election campaign. The introduction of IER in June 2014 was a major step in the delivery of digital government services. 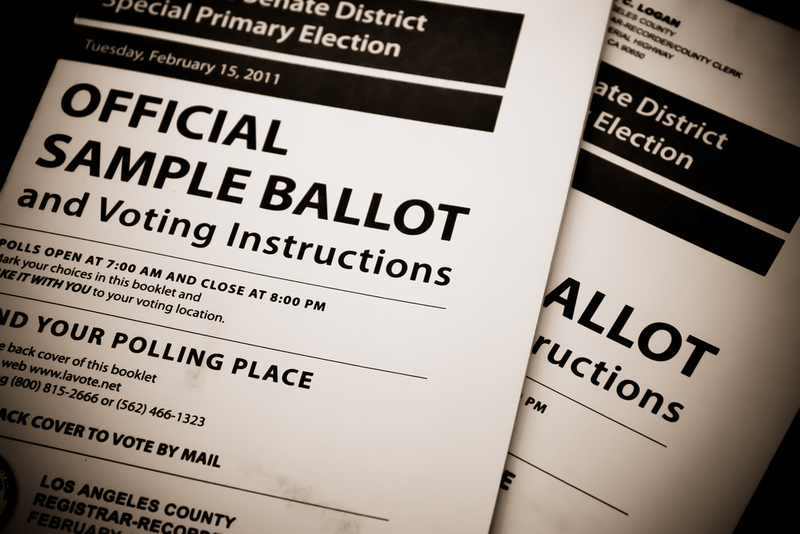 It was implemented to provide a more modern service and to help combat electoral fraud. The IER system is essentially a hub that was built by the Government Digital Service. The hub links up with the Electoral Management Software (EMS) in each local electoral area. There is no central database of voter details and the data has been received and saved locally, and is deleted from the Hub within 48 hours. Yet although these changes have been introduced to improve the system, Dr Toby James, Senior Lecturer in British and Comparative Politics, suggests that they could have the opposite effect, and lead to reduced levels of voter registration. The Scottish independence referendum was described by some as a “once-in-a-lifetime” opportunity, which would have permanently changed the political landscape of Scotland. The plebiscite saw 84.6% of the population voting, the highest turnout a nationwide election has had since the introduction of universal suffrage in 1918. The election also gave 16 and 17 year olds the right to vote, which resulted in 109,533 young people signing up before polling day. It will be interesting to see if this high level of political engagement and the lowering of the voting age will be reflected across the UK in the future. The Prime Minister, David Cameron, has already accepted proposals by Scotland’s First Minister, Nicola Sturgeon, to lower the voting age in Holyrood elections permanently; although a House of Lords committee has raised concerns over these plans. The referendum on Europe could potentially be the big issue of this year’s general election. The United Kingdom Independence Party (UKIP) and the Conservative Party have promised to hold a referendum on the UK’s membership of the European Union if in government. However, the Labour party, at the moment, are against the idea of a European referendum. Due to the fragmented political environment, it is quite possible that there will be another coalition government. In this scenario, parties will negotiate and smaller coalition partners may change their stance. At this stage, other parities including the Liberal Democrats, the Democratic Unionist Party, the Green Party and the SNP may also have an impact. The latest polls are too close to call: with Ipsos MORI showing the Labour Party leading the Conservative Party by 1 point and YouGov showing the Conservative Party leading the Labour Party by 2 points. If the Labour Party win, it’s unlikely that there would be a referendum on Europe; however if the Conservative Party win, it’s likely that there will be. Boundary changes, although not as high profile as the debate on Europe, could also figure in the next parliament. In 2013, a Conservative backed plan to reduce the number of constituencies was rejected by their coalition partners and the opposition parties. However, there are currently a number of electoral reviews being carried out by the Local Government Boundary Commission for England. For example, North Dorset Council will make changes to their boundaries that will come into force at the local elections in 2015. Greater devolution within England is also expected to be a major general election issue. Although directly elected mayors have been part of the political landscape since the early 2000’s, not many cities have chosen to introduce them due to low voter turnout. However, in November 2014, the chancellor, George Osborne announced that Greater Manchester would have a directly elected Mayor, who would have a host of new powers for the region. This increase in powers, alongside a greater desire for more local decision making, may lead to a higher voter turnout than has previously been seen. It will be interesting to see if this triggers demands for mayors from other regions. The spotlight will also be on the role of Police and Crime Commissioners (PCC). Similar to the mayoral elections, turnout has been very low for PCCs elections, with the average turnout approximately 14.7%. If the Conservative Party wins the general election, it is likely that PCC elections will continue across England and Wales, despite their low turnout. Conversely, if Labour wins the election, it is likely that they will scrap PCCs, arguing that the Conservatives have wasted millions of pounds on PCC elections. Whatever the result of the UK election, 2015 looks like being another big year for all aspects of elections management and voting. 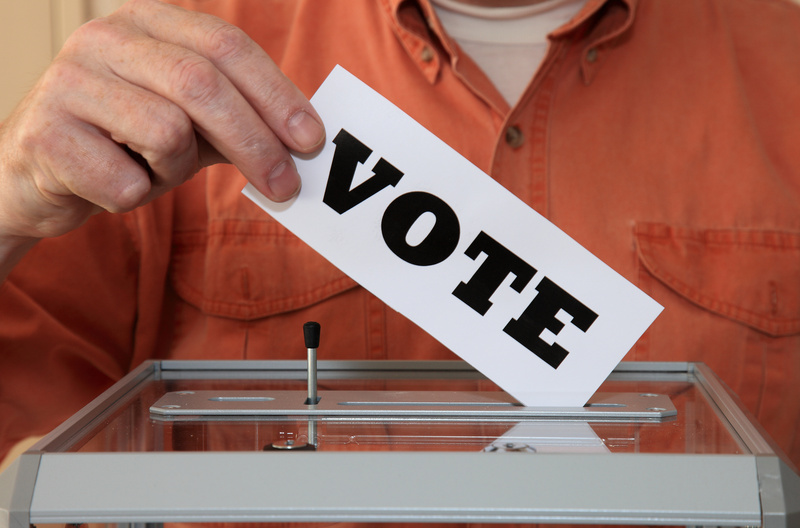 Idox Elections is one of the premier election service providers in the UK, providing outstanding expertise and knowledge across all areas of election management. The Idox Information Service can give you access to a wealth of further information on elections, democracy and political engagement. To find out more on how to become a member, contact us.